In Jerry Dipoto's third season at the helm, his Mariners are 24 games above .500. On Friday, they rewarded him with a multi-year contract extension. In the midst of their most successful season in a decade, the Mariners decided to keep the man responsible for putting this current roster together in charge of the team for a few more years. 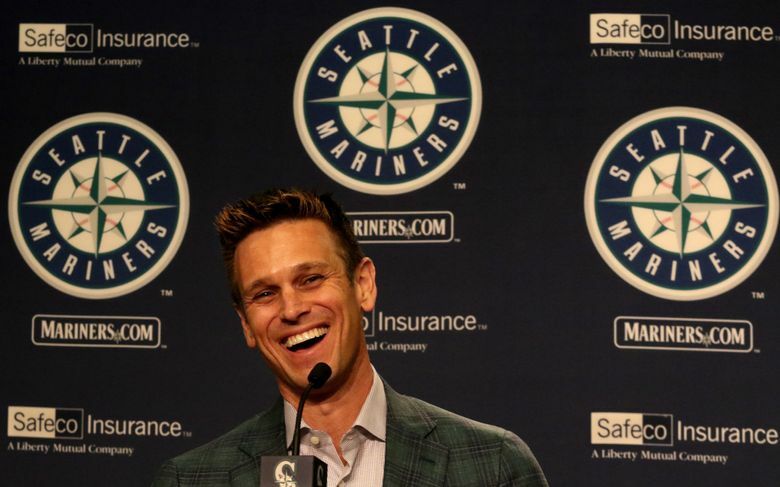 With the team sitting 24 games above .500 at 56-32 and trending toward its first postseason appearance since 2001, the Mariners announced on Friday afternoon that general manager Jerry Dipoto had been signed to a “multi-year” contract extension. Dipoto had been in the final year of the three-year contract he was given when he was hired to replace Jack Zduriencik in September of 2015. 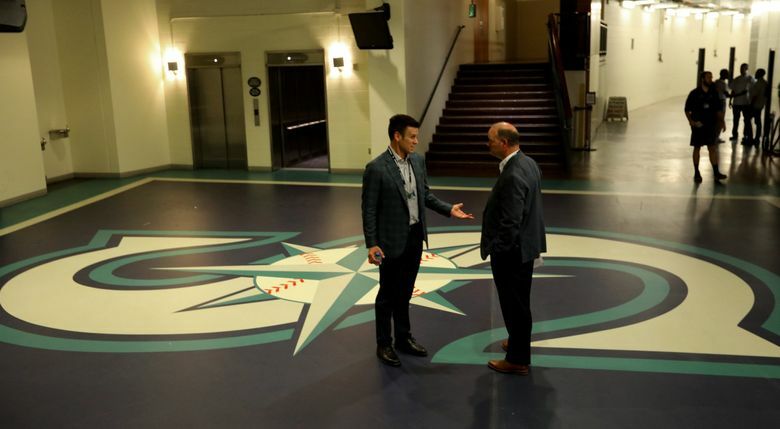 “Jerry arrived here two and a half years ago with a specific plan for our franchise,” Mariners president and CEO Kevin Mather said in a statement. “He has successfully executed that plan, resulting in a younger, more athletic and, most importantly, far more successful Major League team. But for all of those compliments, Mather decided to wait to extend Dipoto’s contract until three months into the season instead of doing it during spring training. Did Dipoto feel any anxiety about being in a lame duck status? Dipoto was the ninth general manager in Mariners team history. He was tasked with fixing an aging and un-athletic roster while trying to put a product on the field that could still be competitive. Ownership would not let him do a complete rebuild. 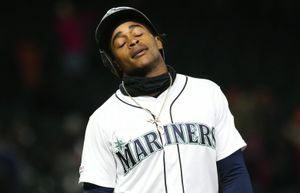 Also given the fact that he had massive contract commitments to Felix Hernandez, Robinson Cano, Nelson Cruz, Kyle Seager and even Hisashi Iwakuma at the time, the Mariners weren’t in a position to tear things down. He also inherited a payroll budget that was limited and a farm system that had grown stale. 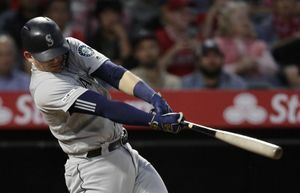 With the philosophy of becoming more athletic, better at run prevention and finding hitters and pitchers who “controlled the strike zone,” Dipoto made a plethora of trades and roster moves to reshape and revamp his 40-man roster. He traded away young prospects in search of controllable players who could contribute to the major league roster. Now after two-plus years of furious wheeling and dealing, the Mariners’ roster has been crafted in Dipoto’s mold. So far this season, it has paid off. Seattle is 56-32, half a game out of first in the American League West Division and in line for a playoff spot. The key contributors have largely been Dipoto acquisitions. Jean Segura and Mitch Haniger, acquired together in a trade with the Diamondbacks, have been offensive catalysts. Dee Gordon, thought to be a project in center field, has stepped in for the suspended Cano at second base. What was expected to be a patchwork starting rotation has turned into a reliable group, thanks to breakout seasons from Marco Gonzales and the recently extended Wade LeBlanc, both acquired by Dipoto in the last year.